Last year marked a special milestone in my life – the 15th year of my career in advertising. It’s inspired me to reflect on how I entered the profession and what I’ve learned along the way. When people ask what got me from a tiny fishing village like Cutler into the city-centric world of advertising, my answer is that Cutler got me there, literally. One August morning in the summer of 1999, a pleasure craft passing through Cutler Harbor got caught up in some polypropylene rope, resulting in a broken propeller nut and missing cotter pin. The owner of the Dettling 51 wasn’t happy about the accident, but it created a chance meeting with my father which can only be described as serendipitous. The yachtsman, Bob Schmetterer, was chairman of a very large global advertising agency. My father, a lobster fisherman and boat builder, was able to fashion a replacement pin for Bob’s prop. I was an unemployed college graduate, looking for an advertising job in San Francisco. A conversation led to a mention of my circumstances. My father was unaware of Bob’s profession at the time, but before motoring out of Cutler Harbor, Bob gave my father a business card to hand along to me. I have worked in advertising ever since. I feel very fortunate not only to have been brought into the industry by a man who appreciates my lobstering heritage but also to have received his mentoring throughout my career. Bob is one of the great ad men of our era and an expert in branding. He helped transform Perdue Chicken into a household name and, in the process, changed the notion of branding commodities forever. I had the pleasure of working at his agency for many years where I worked on the branding of Intel. While there, I learned how turning a tiny computer chip into a brand can create billions in added value. At first glance, it might seem that microprocessors and Maine lobster are worlds apart. Yet I believe there are parallels between the two industries and several lessons to be learned by studying Intel’s approach to branding. Lesson One. No product need be a commodity if it can communicate a compelling element of difference to consumers. Similar to Intel microprocessors, most Maine lobsters aren’t sold directly to consumers. Around 80% of our product is processed and becomes an element of another product, be it an entrée at a white table restaurant, a buffet item on a cruise ship or a can of lobster bisque in a supermarket. 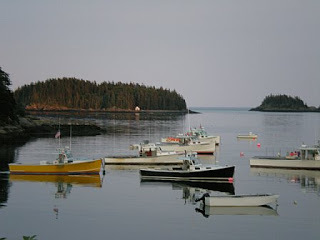 Educating everyday consumers on the goodness of Maine lobster will enable more people to understand our brand’s element of difference and prompt them to seek out our products in whatever form they find most accessible. A supermarket shopper, for example, might decide to pick up a slightly more expensive lobster bisque because she feels reassured it is made with Maine lobster. Pulling consumers to the brand not only helps build demand, over time it should help justify increasing the price paid by the consumer as well. Intel microprocessors are an ingredient inside another product, computers. Because most consumers never see it, Intel came up with a clever way to make the microprocessor ‘visible.’ In 1991, the company created a co-op program which encouraged IBM, Dell and other manufacturer to put an “Intel Inside” sticker on their computers and in their advertising. In return for showing the “Intel Inside” logo in TV or print ads and on the PCs, a computer maker could get a rebate on what it paid Intel for chips. The “Intel Inside” stickers and logo soon became a symbol of a high-quality PC and the program helped propel the growth of the entire computer industry during that period. For decades, many restaurants have branded the lobster on their menus as “Maine lobster.” Even without significant advertising efforts, restaurateurs, chefs and consumers have been able to discern a difference between Maine lobster and lobsters from other states or provinces. As more Maine lobster is processed within our state, it doesn’t just mean more jobs and tax dollars, it means an opportunity to brand more products as ‘made with Maine lobster’ and create thoughtful partnerships with restaurants and retailers. Lesson Three. One brand. Different messages in different markets. Intel advertises in all corners of the world with one brand voice. The company’s focus of its messaging however changes depending on the maturity of the market. One of my roles while working on the account was to help convince consumers to buy their first computer (with Intel Inside) in less developed markets like mainland China, India and Brazil. Intel knew it was useless to expound on its microprocessors if consumers weren’t interested in a computer in the first place. In more mature markets like the U.S., Intel focused more directly on telling the story of the Intel brand. Similarly, in certain segments of America, including the Northeast, lobster is already a market staple. In other areas, lobster is a less established food item. How we talk about Maine lobster should vary in part based on how receptive consumers are to crustaceans in the first place. A live lobster and an inanimate microprocessor definitely are not the same item. But they do share one quality: they are both used in other products. Intel found a way to cast its microprocessor in the public mind as a high-quality, premium product in which a company or consumer could have complete confidence. 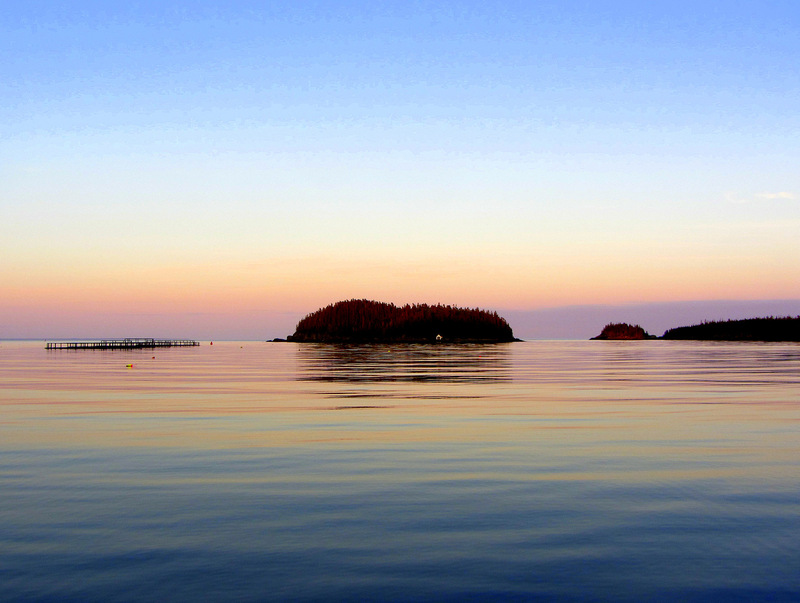 The task for the Maine lobster industry is to do the same. While the Maine lobster industry is a disparate group of buyers, brokers, processors, and of course, lobstermen, each member of that industry knows that he or she is handling the highest quality lobster in the world. Now the task is to ensure the public knows that too. Bob and me aboard his boat in North East Harbor in the summer of 2012. I originally published this article in the November issue of Landings. « Millennials and Maine Lobster. A Love Affair.